It's a difficult issue to address, and the reasons why songs that “break the rules” are successful are numerous – which I'll get into here. But before I get into the meat of the subject, I think it's important to make a quick point. Although there are successful songs that break songwriting norms, they're actually fairly rare in the scheme of things. We can all name a handful of songs off the tops of our heads that maybe don't have hooks or do something highly unusual, but for every one of those, there are 10 or 20 that follow the formula. There's a good reason for that: People tend to like things that are more-or-less expected. So, understand that from the very outset you're basically in a very narrow field. 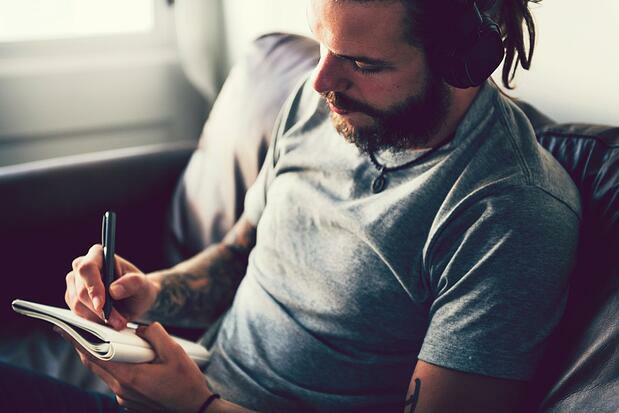 I don't say that to discourage you – you may very well be the exception that breaks through — but here are a few reasons why you may have a difficult time with a song that bucks those songwriting rules. I remember listening to a hit song with a fellow-writer friend and remarking how amazingly well-crafted it was. He pointed out the rhyme scheme, which was unique and interesting. “We'd get told 'no' flat out if we turned something like this in, though,” he told me. I agreed. The fact of the matter is, these writers are a known quantity to the powers that be. They've churned out hit after hit. If they do something unusual – say, not rhyme anything in the song or don't follow typical song structure – they at least have a track record to back it up. This credibility gives the publisher reason to take something seriously they might otherwise dismiss out of hand. Let's put it another way: Pretend you're presented with a bizarre dish –something you might not expect to go together and might not normally try. What if I told you the dish was presented by an amateur chef? You'd be (understandably) even more skeptical. Now, what if I told you it was made by a world-famous chef who had years of experience under their belt? You might be more open to the idea. Even if the recipe is exactly the same, the perception makes a huge difference. Now pretend there's a lot of money – not to mention a few careers – potentially riding on the decision, and you can see why it's a tough sell. That doesn't mean to give up on your song, however, especially if you believe in it. If you wait to pitch it again until you've had some success, you might see a different result. If you're the artist, you'd think the job is easy – just cut the song. Not so fast. If you're an artist, you do hold a lot more sway, but only if you're established enough to have some clout. Take the story of the Rolling Stones hit “Sympathy for the Devil,” for example. The song – which is one of my favorites, by the way – breaks the mold in many respects. First off, the title doesn't appear anywhere in the lyrics, it doesn't really have a chorus to speak of (at least not in the traditional sense), and it's a samba. All the way around, the odds were stacked against it to be a hit. When the Stones wanted to release it as a single, the label argued with them that it wasn't Top 40 material – for all the reasons I mentioned above. Still, it was a hit, and we're still singing along with it decades later. But let's analyze the situation a little bit deeper. The band had already put out several albums and had quite a few hits by the time “Sympathy for the Devil” rolled around. That translated to credibility with fans – they had an established base who would buy their records no matter what or at least give their new stuff a shot. It also translated to a little more pull with the label – they already had made them a good bit of money, and the label was willing to give them a little bit of leeway to experiment. In other words, they were established enough to be granted a license to do something a little different. Obviously, times have changed with the advent of the internet; you can put out whatever you want as an independent artist. But if people aren't responding to what you're putting out, the reason might be they simply don't have a frame of reference. And if you happen to have a manager or booking agent pushing you towards a more conventional route – well, now you know the reason. They may be trying to get you some credibility first. If it's a 12-minute song with no chorus or hook, doesn't follow a recognizable chord pattern, and has a complicated, un-singable melody, it might be interesting, but don't expect it to be a major hit. If you're going to be different, don't do too much different at once. Instead, see if you can scale it back. The listener needs to be able to recognize where you're going and what you're doing. Think of it like a map; your audience needs to be able to read it. It better be pretty clear, even if it does take a few winding turns here and there. By no means am I advocating writing boring, run-of-the-mill, down-the-middle music. We need stuff that's unique and exciting to the listener. But to do that, you need to get through a lot of hurdles first. Like I mentioned earlier, this can be difficult to pull off, but the rewards for defying expectations are enormous. Keep honing your craft, keep refining your song, and don't give up!